Genmega introduces the Genmega Onyx ATM series for any ATM environment. 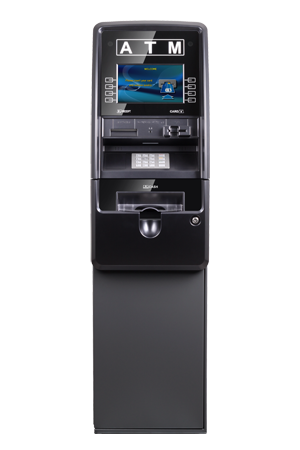 With an up-to-date look and features set sure to impress, the Onyx provides the latest in ATM technology for any market. Whether in a hotel, club or gas station, the Onyx ATM will stand out in a location while still looking financial to encourage transactions. With all of the cassette options, and a presenter option, the Onyx is a flexible solution to meet a locations needs. The Onyx supports all Genmega CDUs and other manufacturer as well. This gives a wide variety of dispenser options to tailor the solution to the location.